on SimplyCash® Plus Business Credit Card from American Express's secure website. The American Express SimplyCash® Plus Business Credit Card is an excellent option for small businesses that want to choose category rewards and tap into American Express premium benefits. This American Express business credit card has no annual fee, no introductory offers, and an ongoing annual percentage rate (APR) between 14.49% to 21.49%. In comparison, some of the best cash back credit cards offer up to $2,000 in bonus rewards, up to 5% cash back, and no-interest introductory periods up to 15 months. Although this American Express business credit card doesn’t offer any introductory rewards, it provides up to 5% cash back and 0% APR for the first nine months. We rate this card four-star out of five. The American Express SimplyCash® Plus Business Credit Card offers no introductory statement credit. Cardholders can benefit from choosing category rewards and premium features at no annual cost. This means cardholders can maximize their rewards by choosing to earn rewards in the spending category where they spend the most each month. Plus, they are covered by several travel insurances. The American Express SimplyCash® Plus Business Credit Card is among some of the best small business credit cards for small business owners. Although it lacks any introductory rewards, this is an overall excellent cash back credit card option if you want the ability to choose from eight categories to earn 3% back. When grading cash back business credit cards like the American Express SimplyCash® Plus Business Credit Card, we weight ongoing rewards heaviest. We rate introductory rewards as slightly less important, but it’s still the second biggest factor. We also consider the annual fee, introductory and ongoing APRs, and additional features. This American Express business credit card suffers in our ratings because it offers no introductory rewards. Based on our five-star rating system where 20 points equal one star, the American Express SimplyCash® Plus Business Credit Card would need to make significant improvements to introductory rewards to earn 4 ½ stars. In cases where cards receive perfect scores in most categories, we may award bonus points to boost the card’s rating. Despite the excellent ongoing rewards, our grade of four stars is appropriate because the American Express SimplyCash® Plus Business Credit Card offers no introductory rewards. In comparison, the Chase Ink Business CashSM offers $500 bonus cash back after spending $3,000 on within the first three months. We awarded two bonus points for the card’s additional features because they can be worth thousands of dollars per year. The American Express SimplyCash® Plus Business Credit Card is best for small business owners who want to earn cash back rewards from a spending category they choose. It’s also an excellent option for business owners that want to pay $0 in annual fees and receive premium American Express perks, such as travel accident insurance and account management tools. The American Express SimplyCash® Plus Business Credit Card has no annual fee and offers a 0% APR on purchases for the first nine months. Once the promotional period ends, your card will have an ongoing variable APR between 14.49% and 21.49% that fluctuates with the prime rate. This card is a potentially inexpensive card option for businesses and gives the opportunity to carry a balance for up to nine months if need be because of its no-interest introductory APR. Some of the best small business credit cards offer no-interest promotional periods for up to 15 months. 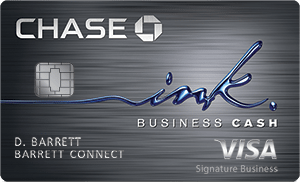 In comparison to this American Express business credit card, the Chase Ink Business CashSM offers 0% APR for 12 months on purchases. However, it’s ongoing APR is 1% higher, with an APR range of 15.49% and 21.49%. To avoid interest with the American Express SimplyCash® Plus Business Credit Card, you must pay your credit card bill at least 25 days after the date on your credit card bill. You will not be charged interest if you pay your entire balance by the due date each month. This American Express business credit card lets you buy above your credit limit. To avoid interest on the amount above your credit limits, you must pay that amount, which is part of your required monthly minimum payment. If you fail to pay, you will begin to accrue interest. The American Express SimplyCash® Plus Business Credit Card has no introductory rewards but offers excellent ongoing rewards for small businesses that travel frequently. Cardholders can earn 5% cash back on U.S. office supplies and wireless phone services, 3% cash back on a category they choose, and 1% back on other purchases. Unlike some of the best small business credit cards, the American Express SimplyCash® Plus Business Credit Card doesn’t offer any introductory offers. Conversely, the Chase Ink Business UnlimitedSM offers $500 bonus cash back after you spend $3,000 in the first three months of opening an account. 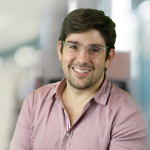 You can choose to earn 3% cash back on either airfare, hotel rooms, car rentals, gas stations, advertising in select media, shipping, and computer hardware, software, and cloud computing purchases. In comparison, the Chase Ink Business UnlimitedSM is a fixed-rate, cash back card that earns 1.5% cash back on all purchases. American Express will reward you for purchases in the following categories: U.S. supply stores, wireless telephone services, select airfare, hotel stays, select car rental companies, U.S. gas stations, U.S. restaurants, shipping, advertising in select media, and computer hardware, software, and cloud computing purchases. Reward restrictions here are common across business credit cards. Cardholders will receive a rebate as a statement credit for any eligible purchases on their American Express SimplyCash® Plus Business Credit Card. The rebate they receive is based on the percentage of eligible purchases made during a billing period and will appear on the second billing statement after the billing statement where those purchases appear. For example, if you earn rewards in June, you will see a statement credit on your August bill. In comparison, with the Chase Ink Business UnlimitedSM, you can redeem your rewards for cash back, gift cards, or travel through the Chase online portal. The redemption value for all three options is one cent per point. If you redeem for cash, you can receive it as a statement credit or a deposit into a checking or savings account from a U.S.-based bank. Similar to most American Express business credit cards, the American Express SimplyCash® Plus Business Credit Card provides unrivaled additional benefits and features. These features are typically free or inexpensive, such as roadside assistance hotline, purchase protection, extended warranty, travel-related insurance packages, global assist hotline and buy above your credit limit. 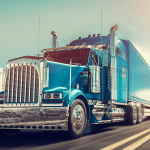 The American Express SimplyCash® Plus Business Credit Card roadside assistance hotline is a 24-hour dispatch hotline that can send out a tow truck or locksmith for emergencies. The hotline is available to card members at no additional charge. However, you will be charged for any services or goods provided. There are other American Express business credit cards that won’t charge for these services. The American Express® Business Platinum Card, for example, includes these services plus up to 10 miles of free towing. Other cards, like the Chase Ink Business UnlimitedSM and Chase Ink Business CashSM don’t offer roadside assistance services. Tractors and trucks weighing 10,000 or more pounds. It’s not common for small business credit cards to always provide roadside assistance to cardholders. For example, both the Chase Ink Business CashSM and Capital One® Spark® Cash for Business don’t offer any type of roadside assistance. That said, these exclusions are not uncommon. The American Express SimplyCash® Plus Business Credit Card providers cardholders with coverage for purchases made on your American Express business credit card. This covers items that are either damaged or stolen within 120 days from the purchase date (90 days for New York residents). The purchase protection is capped at $1,000 per occurrence and $50,000 per year. Most business credit cards that offer this coverage generally limit the coverage to 90 or 120 days after the purchase date. Chase Ink Business CashSM offers an identical coverage window. However, it allows up to $10,000 per occurrence. Exclusions here are common across small business credit cards that offer purchase protection. The American Express SimplyCash® Plus Business Credit Card offers two years of extra warranty protection if the original manufacturer’s warranty is between two and five years. For warranties less than two years, American Express will match the length of the original warranty. Overall, this coverage is better compared to other cash back small business credit cards. The American Express SimplyCash® Plus Business Credit Card covers eligible purchases with a valid original manufacturer warranty of five years or less. Warranty protection is the same for most American Express business credit cards. In comparison, the Capital One® Spark® Cash for Business only covers purchased items with original manufacturer’s warranties of three years or less. American Express sets a monetary cap on their extended warranty to $10,000 per occurrence and $50,000 per year for each card member. 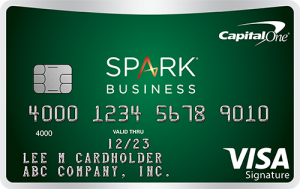 The Capital One® Spark® Cash for Business offers additional warranty protection at no charge on eligible items that are purchased with your business card, up to one year past the manufacturer’s warranty. Their protection also caps at $10,000 per claim. American Express covers up to $100,000 on their travel accident insurance plan for the American Express SimplyCash® Plus Business Credit Card. American Express will only cover accidents within 100 days after the accident and if they were entirely charged to your American Express card. The coverage American Express offers outranks its competitors. The American Express SimplyCash® Plus Business Credit Card provides coverage if you die or lose a limb, sight, speech or hearing in regard to any travel fares that were paid for entirely on your card. In comparison, there are some other American Express cards that offer better coverage. For example, the American Express® Business Platinum Card offers coverage up to $500,000. The travel accident insurance provided on the American Express SimplyCash® Plus Business Credit Card outranks both the Chase Ink Business CashSM and Chase Ink Business UnlimitedSM. Both of these Chase cards don’t offer travel accident insurance. Instead, they provide a 24-hour emergency hotline. Exclusions here are common across small business credit cards that offer travel accident insurance. With the American Express SimplyCash® Plus Business Credit Card, American Express will cover between $250 and $1,250 for any lost bags while in direct transit. Additionally, American Express also covers carry-on bags, checked bags, or high-risk items. This coverage plan falls short of what’s offered through Capital One. In comparison to Capital One’s baggage insurance plan, American Express coverage falls short. The Capital One® Spark® Cash for Business will cover up to $3,000 for checked and carry-on baggage, but only $2,000 for New York residents. For both American Express and Capital One, your entire trip fare has to have been charged on your business credit card to be eligible. Although, exclusions here are common across small business credit cards. American Express will protect your car rentals as long as the rental is charged to your active credit card. The American Express SimplyCash® Plus Business Credit Card will cover up to $50,000 per car rental agreement for the first 30 consecutive days of a rental. Compared to competitors, American Express falls short because of its monetary cap. Unlike Chase, American Express places a monetary cap on their rental insurance. Both the Chase Ink Business CashSM and the Chase Ink Business UnlimitedSM provide up to the cash value of the vehicle. For most business credit cards, you must pay for the entire rental on your eligible business credit card to receive coverage. Exclusions here are common across small business credit cards that offer coverage for rental vehicle agreements. When you travel more than 100 miles from home, American Express will provide you with 24 hours a day access to medical, legal, financial, or other select emergency and assistance services. These services include medical and legal referrals, assistance with cash wires, passport replacement, missing luggage, and more. You will be responsible for the costs charged by third-party service providers. The Chase Ink Business CashSM and Chase Ink Business UnlimitedSM both provide an emergency hotline. However, American Express is widely known for its more robust services. For example, Chase doesn’t provide medical transportation services or translation and interpretation. American Express provides some of the most robust and extensive reporting in the industry across most of their business credit cards. The American Express SimplyCash® Plus Business Credit Card, for example, comes with several account management tools. These expense management tools include proprietary American Express services like the Amex® App, Spend Manager, Spend Manager Mobile App, and Connect to QuickBooks®. American Express also offers the ability to set account alerts, receive year-end summaries, and view your online statement, prepare reports, and budget your company’s business expenses. In comparison, some business credit cards don’t offer access to as many tools, such as the Chase Ink Business UnlimitedSM. The American Express SimplyCash® Plus Business Credit Card lets you buy above your credit limit giving you the option to make larger purchases. The amount above your credit limit is due in full each month as a part of your minimum payment. Although, the amount you can spend above your credit limit is not unlimited. This amount adjusts with how you use your card, your payment history, credit record, and other factors known to American Express. Additionally, there is no limit to the total amount of cash back you can get. This feature outranks any other competitor, as most small business credit cards cut you off once you reach your credit card limit. If you think you’ll need to make unexpected large purchases, this American Express business credit card is a solid option. Once you’re approved for the American Express SimplyCash® Plus Business Credit Card, you can request up to 99 additional employee cards for no extra fee. You can also earn the same rewards for your account on employee purchases. 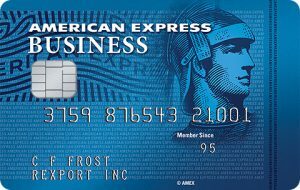 There are other American Express cards that charge for employee cards, like the American Express® Business Gold Card. The first employee card is $50 and the rest ― up to 99 ― are free. 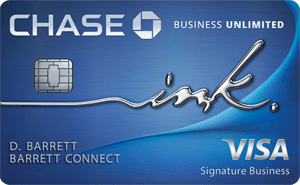 If you need more than 99 employee credit cards, consider the Chase Ink Business UnlimtedSM or a corporate credit card. A corporate credit card offers similar expense reporting tools, employee spending control, and it’s easy to issue employee cards on your own. The American Express SimplyCash® Plus Business Credit Card doesn’t offer any introductory statement credits or no-interest on balance transfers like some of the best cash back business cards. This means this card isn’t the best choice if you’re looking to consolidate debt from your other credit cards. If you are looking to consolidate debt, consider the Chase Ink Business CashSM, which offers 0% APR for 12 months on purchases. We sourced customer reviews from the American Express website and in doing so found that people think the American Express SimplyCash® Plus Business Credit Card provides extremely beneficial rewards for all businesses. The only negative review we found mentioned their online account management tools were sometimes difficult to navigate. You can apply for the American Express SimplyCash® Plus Business Credit Card online. You will be required to provide your basic business and personal information. You will typically receive a decision instantly. If you’re approved, your card will arrive in the mail within seven to 10 days. If for some reason you’re not approved immediately, you can check your application status on the American Express website. Log in to your American Express SimplyCash® Plus Business Credit Card account online by providing your user ID and password. If you run into any major issues, you can contact customer service through the American Express website. American Express has several different small business credit cards available for various spending needs, such as travel rewards cards and cash back cards. These cards have a wide range of rewards, interest rates, and annual fees. It may be worth considering one of these American Express credit cards if you want to earn an introductory reward. If your spending needs don’t fit into the eight spending categories American Express offers, there are better options compared to the American Express SimplyCash® Plus Business Credit Card. Consider alternatives including the Chase Ink Business CashSM, Chase Ink Business UnlimitedSM, and the Capital One® Spark® Cash for Business card.